This trip really began the Sunday before when my husband’s three brothers arrived in Auckland to celebrate their first Kiwi Thanksgiving. From there they flew to Christchurch and spent a few days tiki touring to Queenstown. I met them there late Thursday and their nerves for Saturday’s event were starting to show. 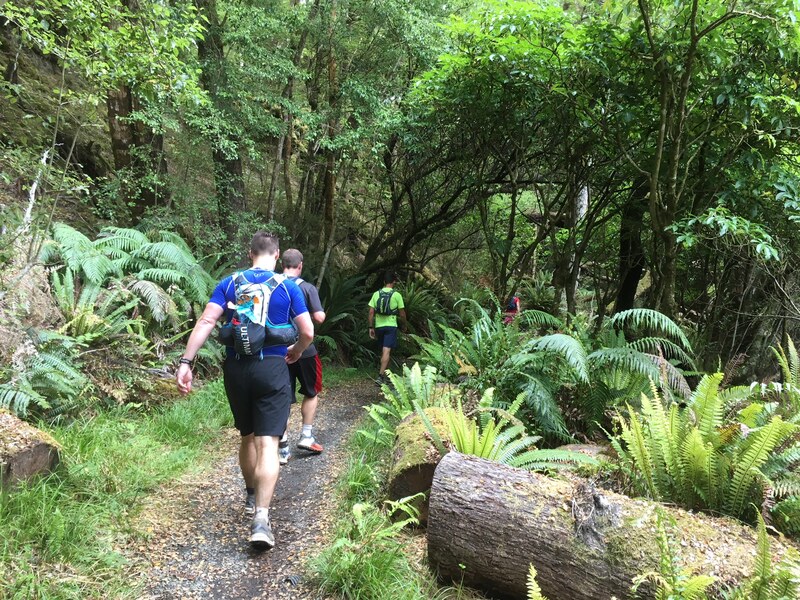 The Kepler Challenge is a 60km mountain run. It means completing the 3-4 day Great Walk in less than 12 hours. The brothers had been training for six months. 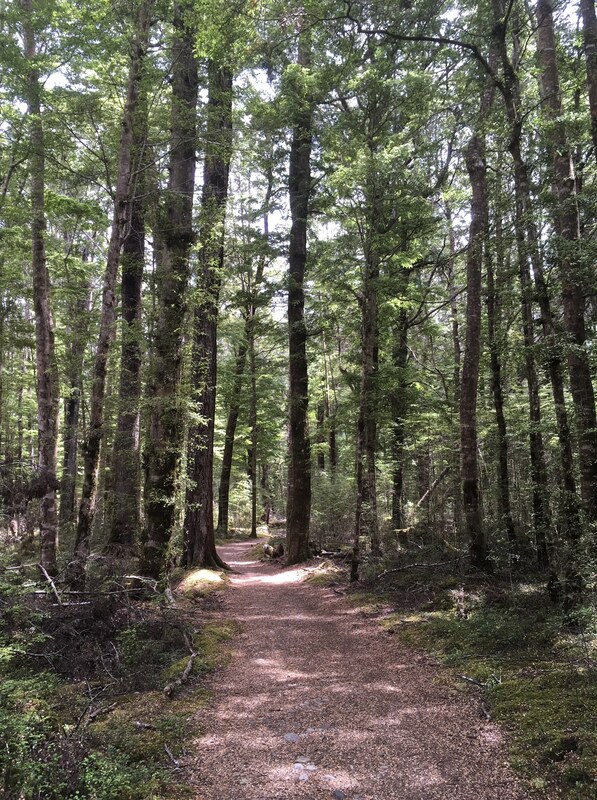 Allen and I hiked the Kepler Track in three days in 2015 and struggled to walk afterward. On Friday we drove two hours southwest to Te Anau. After checking into our accommodation we attended race registration where each participant’s backpack is checked for required gear including thermals, rain jacket, and a blanket. Next we drove to the trailhead and wandered down the dirt path to give the brothers an idea of what to expect the next day. At 7:30pm there was a mandatory race briefing. It did not last long, but included critical information about the race and how to care for yourself in the hours, days and weeks following the race. The panel of presenters included a Department of Conservation representative, Health & Safety officer, general practitioner, weatherman, and race director – some of whom were also race participants. It was really informative and well organised. Spot prizes were awarded and we were released until the next morning. We arrived at the Control Gates – the race’s start and finish – shortly before 6am. I waved goodbye, heard the gun, and watched the runners disappear into the bush. The only other access point to the trail is Rainbow Reach, 10km from the finish line, so I knew it would be 8 hours until I saw them again. MK and I went back to bed, got breakfast and went about our day while tracking the brothers’ progress online. In the early afternoon we made our way to Rainbow Reach and I hiked in 1km. I heard their banter before I saw them turn the corner towards me. 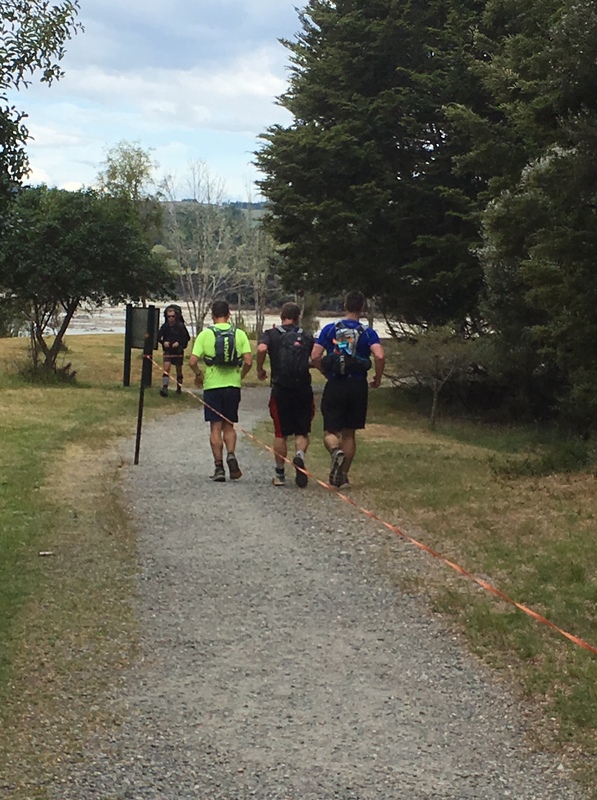 All three were still on their feet, more or less in good spirits and looking surprisingly energised for having completed 50km on foot. They did not stop to chat or take any of the treats (powerade, water, bananas) I brought. From there MK and I drove back to the Control Gates and I hiked in to cheer on the finishers. It was inspiring to watch them. Their emotions ranged from exhaustion, hope, pride, defeat and frustration. Finally my three favorite participants came into view and a few minutes later they ran across the finish line together! I’ve never been more impressed with them. The car ride that followed was stinky, but totally worth it. Weather: mostly sunny and 70s. It even got into the 80ºs one day. I hear it was windy, 40kmh, along the ridge. Accommodation: one night at YHA Lakefront in Queenstown, a couple nights at Birchwood Cottages in Te Anau. The ‘cottage’ was a standalone 3-bedroom house with porch, grill, and huge outdoor space.